Manhassett’s Louis Perfetto forged a 6-6 tie with 59.6 seconds left in regulation. It took Darien just seven seconds to answer and keep its 59-game winning streak as well as its current 5-0 undefeated season alive. Brian Minicus scored his third goal of the game off a feed from Logan McGovern at 52.7 to make it 7-6. 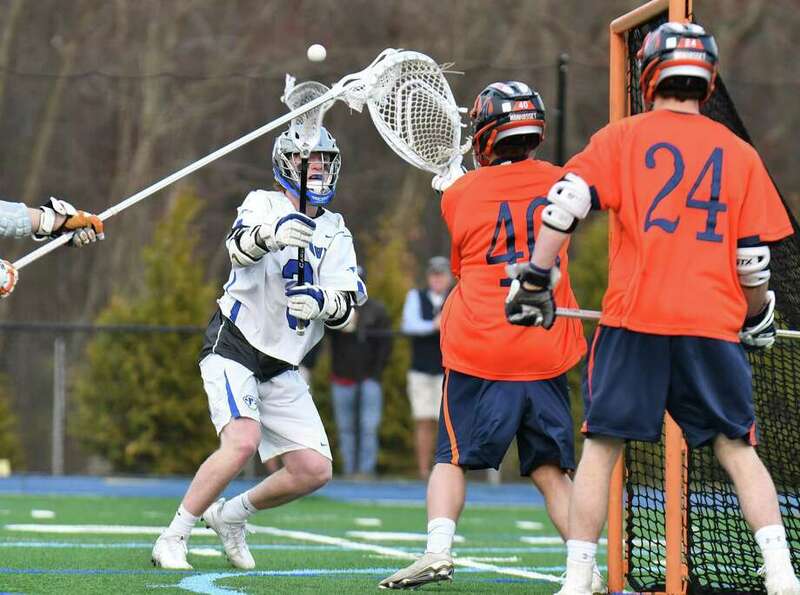 Records: Manhassett (N.Y.) 2-4, Darien 5-0. Scoring: M—Devin Kennedy 1 goal, Mike Farrell 1g, Chris Alcaraz 1g, Marc Psyllos 1g, Louis Perfetto 2g. D—Brian Minicus 3 goals, 1 assist, Logan McGovern 1g, 3 assists, Ryan Darby 1g, Henri Pfeifle 1g, 1a, Hunter Pokorny 1g. Goalies: M—Grant Petracca (9 saves); D—Sean Collins (12 saves).